Are you looking for a reliable, trustworthy, and courteous electrician in Rock Hill and the greater York and Lancaster County areas? Then look no further! 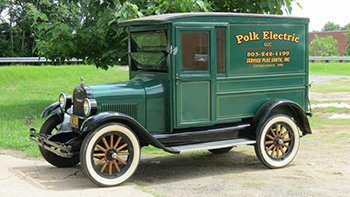 Since 1990, Polk Electric has been your single point of contact for quick responding, honest, and experienced professional residential and commercial electricians. Do you need a simple service call such as a ceiling fan or electrical outlet? Are you carrying out a large scale building renovation? Maybe you are implementing a new construction site. As a fully licensed electric contractor in both South Carolina and North Carolina, Polk Electric can install lighting, perform whole home wiring, and provide business and residential electrical safety inspections. We are also bonded and insured for your protection. 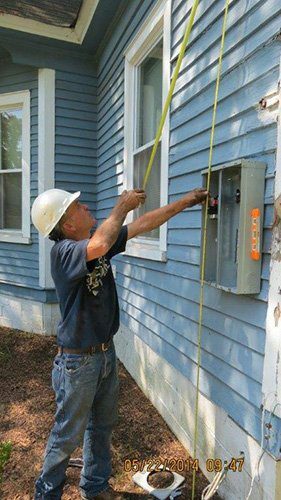 No matter how large or small your need may be, Polk Electric has all the resources you need to get the job done right the first time. Once you contact us, we will be there in a very prompt manner to survey your job. After this survey, we will give you an open and detailed assessment about your project and what exactly to expect. We will also let you know how long we believe it will take to bring your job to a close. Finally, we will give you an upfront, honest estimate as to what your job will cost. This way there are no hidden “surprises” to catch you off guard. Plus, with our low pricing you will not be disappointed with the quality and value at your fingertips. At Polk Electric, our goal is to build a long term relationship with you. We do this by our willingness to go the extra mile, making your experience with us the very best by focusing on customer service and customer satisfaction. We work hard each and every day to ensure that you are a satisfied customer and that you will continue to be over the many years to come. If you are looking for a residential or commercial electrician, please consider Polk Electric for your electrical service needs. We look forward to the opportunity to serve you!